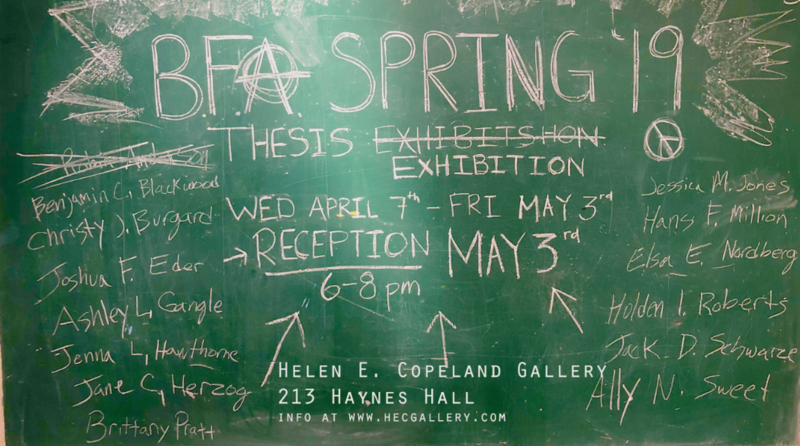 The Helen E. Copeland Gallery (HECG) is pleased to announce the exhibition Exposure: Work by MSU Photography Faculty at the Helen E. Copeland Gallery, located on the second floor of the School of Art in Haynes Hall, Bozeman MT. The show will be on exhibit until Thursday, September 22nd, 2016. The Public Reception is Thursday, September 15th, 2016 from 6:30-8:30 p.m. and will be free and open to the public. Refreshments will be served. On view will be works from the MSU Photography Faculty, showcasing a wide variety of subject matter and photography practices. Each artist has worked diligently to develop their skills and knowledge in their chosen mediums thereby expanding and adding to the wider discourse of contemporary photography. With processes ranging from historical sun exposed, salted prints to the latest digital technology combined with pigment printing, this exhibition is sure to be a real eye opener. We invite the public to an evening of refreshments and to enjoy the opportunity to view this diverse collection. Artists on view include Dan Wise, Ian Van Coller, Steven Jackson, Christina Z. Anderson, Alexis Pike, Jonathan Long, David Lier, Heather McKenney, and Kayla Bedey. Next postSalty Meat at the Melvin Grad Studios –Reception 9/15/16 from 5-7 pm!